The Vault’s Blair bag comes in quilted black faux leather and feels effortless to wear. Thoughtfully crafted to compliment any outfit. Though compact, it opens to several compartments for organizing cards, coins, your phone and keys. 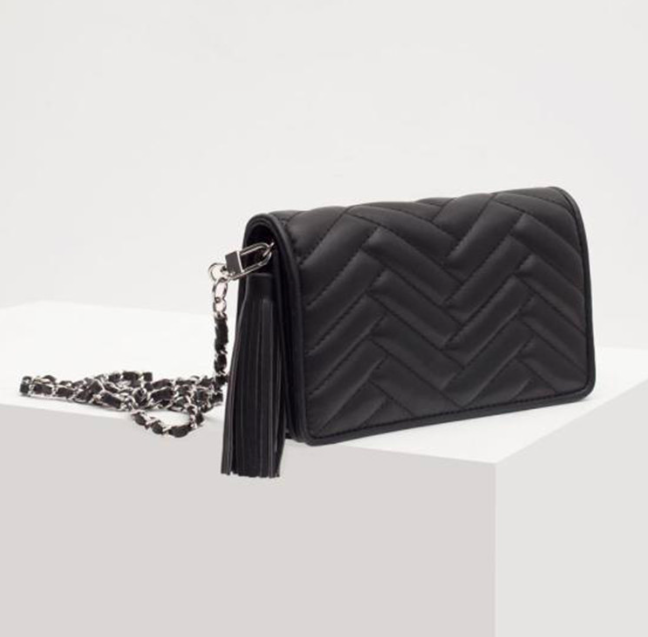 The fine silver and black woven chain shoulder strap can be removed and tucked inside so you can carry it as a clutch.